Dogs do not always get on with other dogs or behave well when around them. Understanding why they behave as they do can be the first step in finding a solution to this problem. If your dog is already aggressive to other dogs (i.e. posturing, growling, lunging, barking, nipping, biting), go to ‘Aggression To Other Dogs’. 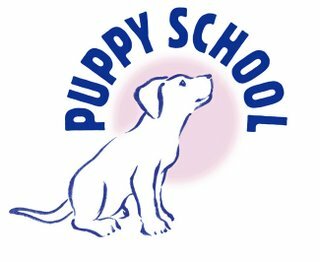 If you have a puppy under 6 months of age, go to either ‘Puppy Problems With Other Dogs’ or ‘Puppy Aggression To Other Dogs And Puppies’. 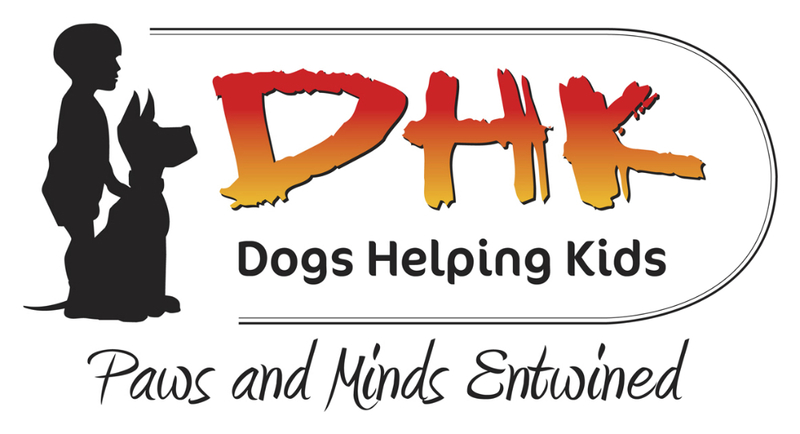 Dogs bark when they see other dogs for two basic reasons, either (i) they want to approach them to play and interact, or (ii) they are worried about them and are either trying to keep them away or are trying to make themselves feel better about that dog being too close. 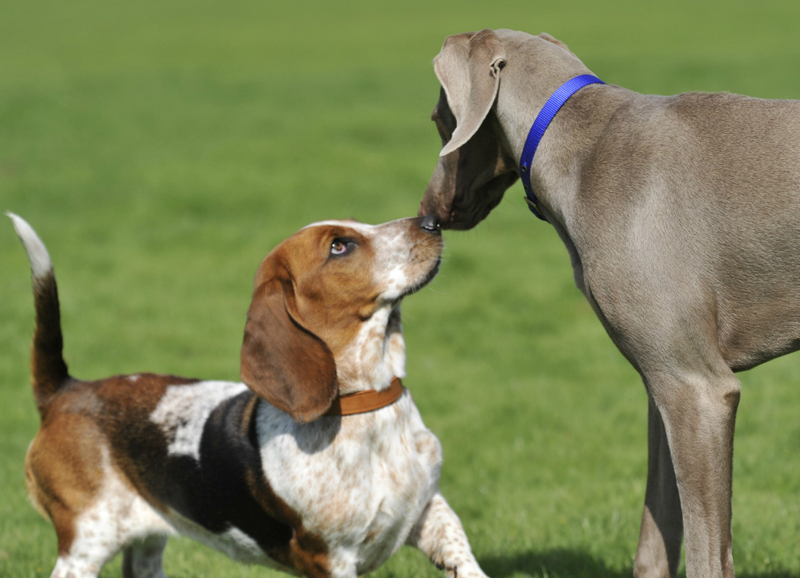 Which of these two reasons apply will only be clear if you know what your dog does when close to other dogs. If your dog postures, growls, lunges, nips or bites when close to the other dog, go to ‘Aggression To Other Dogs’. If your dog attempts to play and interact with the other dog, your dog has learned to enjoy games with other dogs more than games with people. To turn this around, you will need to stop all games with other dogs for a while (even with the other dog(s) at home), and teach him to enjoy playing with people with toys instead. Once he is more balanced and prefers games with you to games with other dogs, it will be much easier to teach him control and good manners around other dogs. Go to 'How To Teach Your Dog To Play With Toys'. Dogs chase other dogs for fun or, sometimes, because they are worried about them and want to get rid of them. In rare cases, some large dogs, usually hounds bred to hunt by sight, such as greyhounds, may chase small dogs mistaking them for small prey animals such as rabbits (go to ‘Predatory Aggression’). If your dog chases for fun, it will enjoy the chase but stop and return to you once the other dog stops, or it may bark at the other dog for a while to try to start the chase up again. 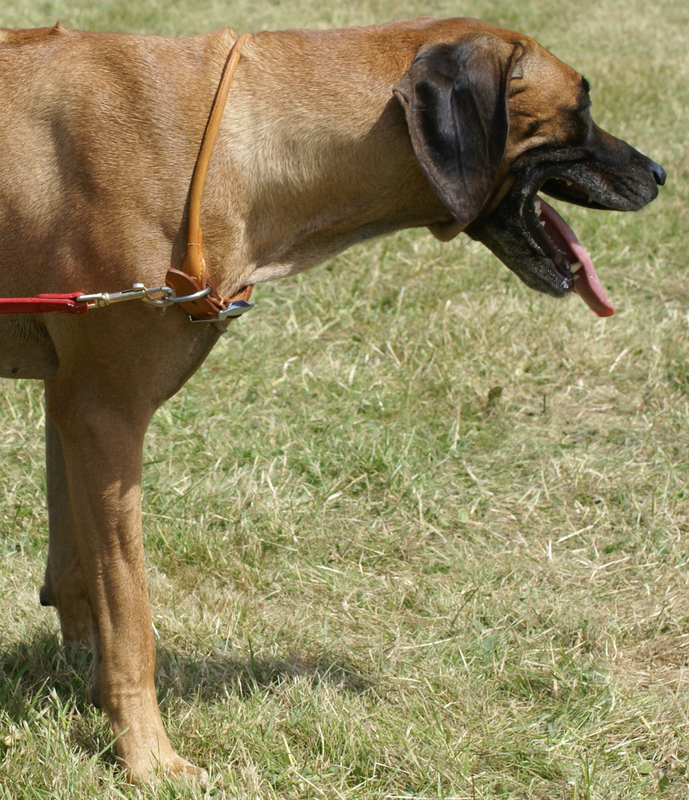 Dogs that do this will be scanning the park for any small movements and will set off as soon as they see a dog running. They will also be likely to chase other moving animals, people and objects. Please see ‘Chasing’. If your dog is worried about other dogs and chases them away, or the chase ends in your dog being aggressive to the other dog, please see ‘Aggression To Other Dogs’. Dogs that play roughly or inappropriately have usually been allowed to play too much with dogs that were weaker than themselves. Consequently, they have learned to enjoy doing things that other dogs do not like, such as bouncing hard onto them, jumping on their back, shaking them, or play-biting too hard. . When rough players encounter dogs that defend themselves from such inappropriate behaviour, encounters can quickly escalate into a fight. 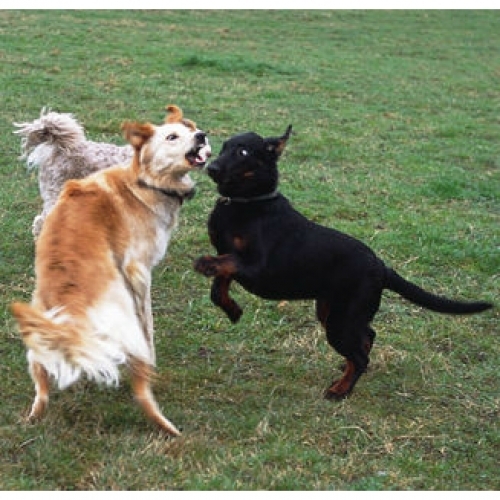 If your dog has already learnt to be aggressive, go to ‘Aggression To Other Dogs’ for a solution. Dogs that do this prefer to play with other dogs than with their owners. To address this, you will need to stop them playing with other dogs, including those (if any) at home, until they enjoy playing more with you instead. Go to 'How To Teach Your Dog To Play With Toys' for a solution. Dogs that ignore other dogs until they approach and then slink around behind your legs to hide, or run away in terror, are often lacking in socialization with other dogs or have had a few bad experiences with them in the past. To help your dog overcome this, you will need to keep him safe by keeping a ‘circle of safety’ around your dog, and gently introducing him to other dogs that can be trusted to be kind and friendly to help him build confidence. 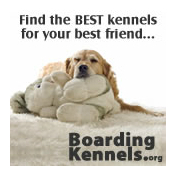 For further information, go to ‘Aggression To Other Dogs’, and ‘Fear And Anxiety’. Dogs that ignore other dogs are usually lacking in socialization with others and prefer the company of humans. If you want your dog to be more sociable, you need to gradually introduce him to other dogs, one at a time, starting with a gentle, friendly dog at first, and going out for walks with that dog daily until the two dogs have developed a friendship. If you continue to do this until your dog has made approximately ten other doggy friends, you will find that he becomes more sociable with other dogs he encounters in future.